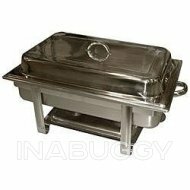 Serving meals buffet-style is an easy way to feed family and friends. 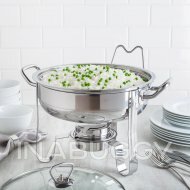 Attractive and simple to use, our Buffet Servers keep foods at perfect serving temperatures. Ideal for parties, holidays or special occasions throughout the year! Dishes can be cooked on the stovetop or in the oven, and then served at the dining/buffet table -all right in the same pan! 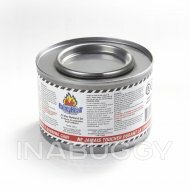 Break-resistant tempered glass lid locks in food nutrients and natural flavours. 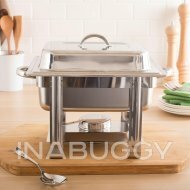 Keeps food warm while allowing guests to view dining selections, making a serve-yourself atmosphere easy!